One fast way to get soft smooth lips overnight is by providing good amount moisture and cleaning the dirt to make lips soft, silky and baby pink. Naturally made home remedies from honey, cucumbers, milk cream, avocado, aloe vera, olive oil and lip products, both are useful for making lips supple in summers and winters. 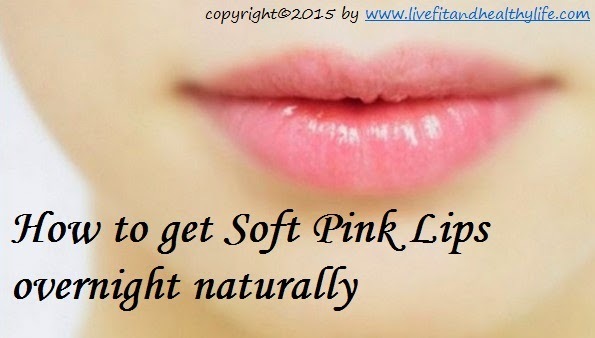 These tips can be used by both men and women to get smooth and soft lips. A simple mixture of a teaspoon each of plain sugar, olive oil, and honey (optional) is another great way to exfoliate your lips after wetting them. Like the toothbrush method, scrub in a circular motion being careful not to over-exfoliate. Use skin friendly moisturizers that contain at least 25 SPF to keep lips protected against the sun. When you provide moisture to lips, they become smooth and thus help you to get rid of dry chapped lips. Nivea and Vaseline are some good products that can keep the skin of lips moisturized. Also, there a variety of lip balms available that will make your lips silky. Lip balms help in the healing and protection of chapped dry lips. Apply Vaseline regularly before going to bed at night. In a day you can also apply a thin layer of this product since it is effective in protecting your lips against harsh environmental conditions such as cold, UV rays and wind. This is the best way to ensure your body remains hydrated. Hot or too cold weather conditions can easily dehydrate your body due to high metabolism reactions. Lips contain the thinnest skin and they will easily become dry and chapped. However drinking sufficient amount of water will save you from this lip condition. Many people are tempted to lick their lips when they feel an irritation or dryness. When you feel the urge, it is recommended that you apply a chapstick or a thin layer of Vaseline for guys. Obtain your favorite brand at drugstores such as Walgreens and CVS and pocket friendly cost. Massaging is a great way to make lips look fuller and redder. Take an ice cube and add to a thin cloth. Slowly move it to your lips for 5 minutes daily. You can also take Vaseline, Nivea or honey for massaging your lips. Massages help to get a good lip shape and also stimulates oxygen and blood. This provides more nourishment to lips, thus making it look healthy and fresh.